Back in February BC published a very nice rendering of the next-gen Corolla (earlier post) and I was really happy seeing Toyota coming back from the dead.... but this latest rendering worries me a lot!!! 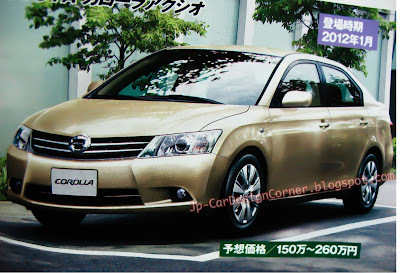 It looks like eeeer.... a typical Toyota and this is very wrong. I guess we will have to wait until January 2012 to find out.